Pretty obscure stuff from the El Zarape label. Now most of the music I’ve heard from this label seems to be really bad regional Mexican. However, every now and again these Tex-Mex labels would always throw in some sort of funky cut. 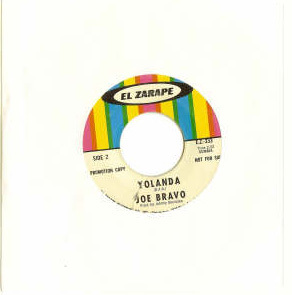 Yolanda I believe was originally a popular cha-cha-cha number. And I think I actually own an LP from Joe Bravo and it doesn’t sound anything like this. The song “Soul Searching” by The Mexican Revolution is the song with the big fat break so I hear (I don’t have it). But the soul jazz cover of Eddie Harris’ “Listen Hear” will do just fine. This standard is pretty much covered by everyone. Found this today in a stack a records I was going through. Didn’t even realized I owned this joint. Anyway, I thought I’d amend this post by putting the best song on the album up for you people. 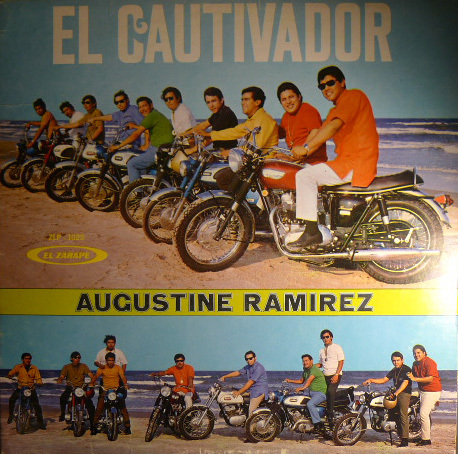 Again, more bad regional Mexican music from the El Zarape label, except for the Roger Collins’ cover She’s Looking Good. To go from crappy polkas and horrible rancheras to a soul number is beyond me. It probably was the thing to do back in the day or maybe even the label/producer’s idea. 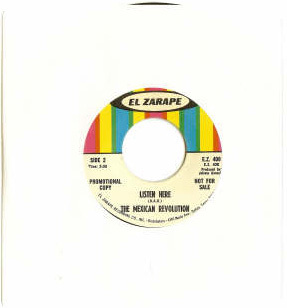 This happens repeatedly on labels like this, Gas, Musart, and other Mexican/Mexican American record labels of this era. wow..i’m so glad i found this blog…amazing stuff you’ve got here..
Bad Mexican regional music? open your ears simpleton! So who are you to think you have the authority to be pick and choose what’s good and bad from the El Zarape label recording artist’s?